Strong communication skills are just one of the many qualifications we look for at Metric Theory. 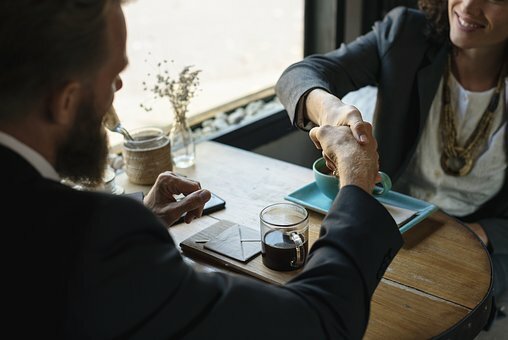 They lay the foundation for a strong external relationship between agency and clients, as well as internally within the company. Communication skills are ever-evolving, and there’s always an opportunity to improve further. Here are some tactics we utilize to make our strong communicators even stronger. Adapt your communication style to that of the person on the other end of the phone. How does she communicate? Is she very direct, concise, and to the point? Or does she enjoy small talk? Is she only interested in the big picture? Or does she want to understand all the nitty gritty details? We recommend adjusting your communication strategy and associated visuals to suit, and to an extent, mimic the person you’re talking to. If she’s a big picture person, be more direct and high-level as opposed to discussing all the ins and outs of your 12-stage competitive analysis. Instead, jump right to the summary. Ensure every statement has a point. Ask yourself, “What do I want this person to take away from this conversation?” This should guide how you speak to your visuals too. For instance, if you are talking about seasonal trends in the below graph, don’t walk through every single month of the year and highlight the amount of traffic by month – jump straight to the main point. August is where we see a 2x increase in volume that stays high through the end of Q4. Make sure that you choose the right communication tool for the right subject. Too many times I’ve seen lengthy emails come through discussing vital decisions around budgets, goals, or even explanations on strategy. Ask yourself when responding, “Is this best suited for email or should we hop on the phone?” Oftentimes a quick call will minimize miscommunication and be more efficient for everyone involved. These are two of the fastest ways to discredit yourself. Even if the material itself is outstanding, the message can be lost in translation when you are not confident in what you’re presenting. Many aren’t cognizant of how often they use filler words or even how they sound on the other end of the phone. This is vital to understanding your opportunities for improvement. Record yourself so you can hear how you sound. Set up mock-calls with a mentor so you can receive feedback and improve accordingly. Make sure to listen – Multitasking can be difficult, and if there’s one time you shouldn’t be multitasking, it’s when your point-of-contact is talking. Ask questions – oftentimes, people are afraid to ask questions or ask for feedback or buy-in out of fear. Will I know the answer to this question? What if they don’t agree with my proposal? Although this can sometimes be daunting, it is essential to your relationship to ensure both parties have an open line of communication and can freely discuss matters. It’s important to know where you stand vs. being too afraid to ask. Ultimately, strong communication stems from practice, practice, practice. You can also listen to other strong communicators – watch a Ted Talk, listen to your manager pitch a new opportunity, or ask to sit in on presentations. Contact us to start communicating with Metric Theory on how to drive better marketing performance!